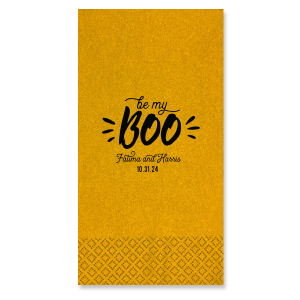 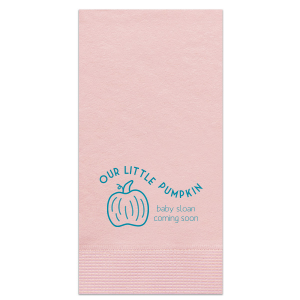 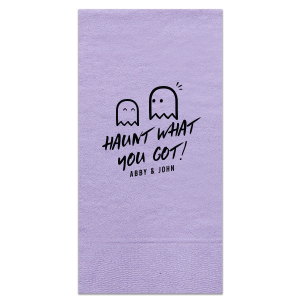 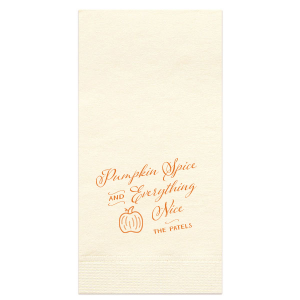 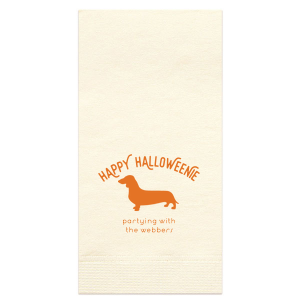 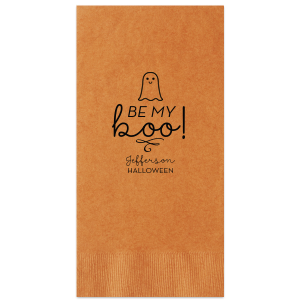 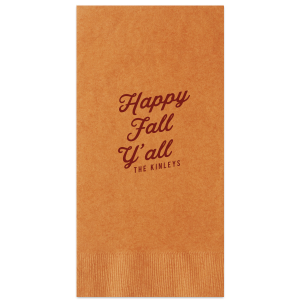 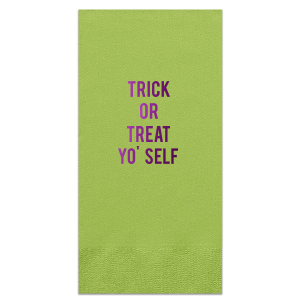 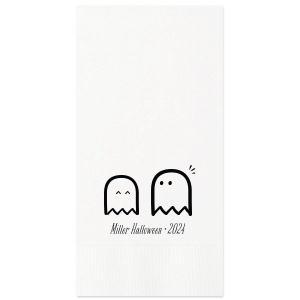 Extend your Halloween hospitality to the powder room with personalized Halloween guest towels! 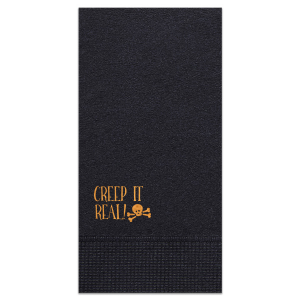 You’ll love the extra touch of personalization your custom designed Halloween guest towels deliver! 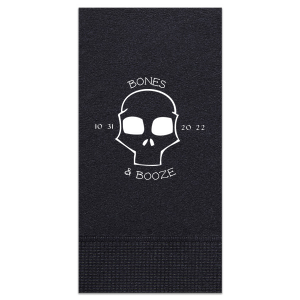 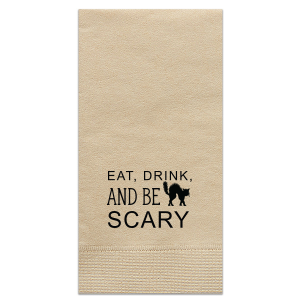 Give your guests plenty of napkin to work with for the buffet dinner with For Your Party’s generously sized customized Halloween guest towels. 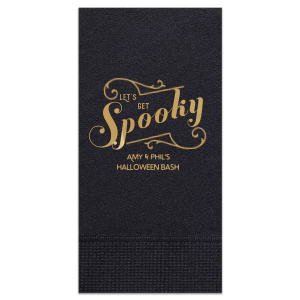 You’ll love the creative freedom you have to make your one-of-a kind custom Halloween guest towels. 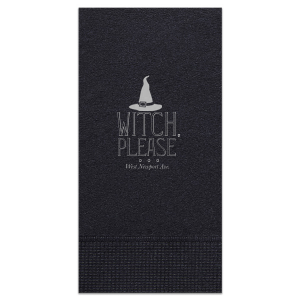 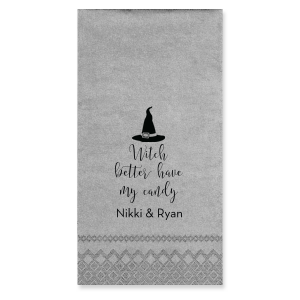 Browse our Halloween graphics, ranging from witches on brooms to jack-o-lanterns, to find the perfect look from your customized Halloween guest towels. Choose a burnt sienna guest towel color with matte black foil stamping, or a black guest towel with matte tangerine foil stamping to coordinate your personalized Halloween guest towels to your party colorway. 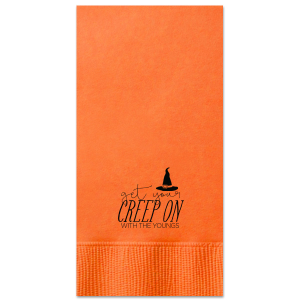 Don’t forget to leave a stack of your custom designed Halloween guest towels in the powder rooms to extend your hospitality to the facilities. 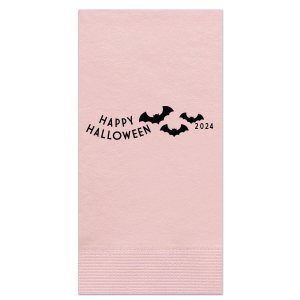 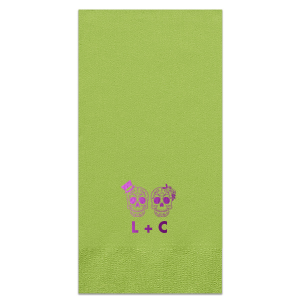 Get started creating your perfect personalized Halloween guest towels today!